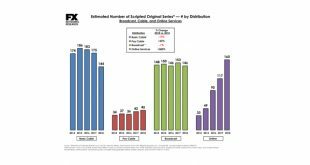 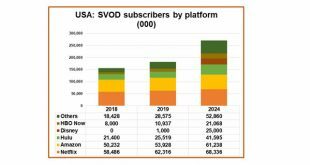 Over the course of 2018, the top 10 service providers in the U.S. lost a total of 2.57 million television subscribers, or just over 3 percent of their base, as reported by the informitv Multiscreen Index. 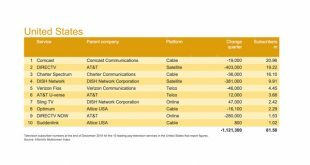 U.S. broadcast station mergers and acquisitions (M&A) volume reached $4.31 billion in Q4 2018, closing the year with $8.87 billion in deals, according to Kagan. 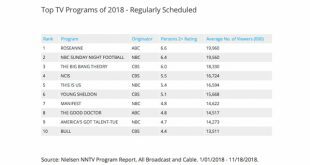 According to Nielsen, The Big Bang Theory and the now-canceled Roseanne rank highest among the top 10 regularly scheduled TV programs in the U.S. for 2018, while Better Call Saul and The Sinner received the biggest boosts from time-shifting. 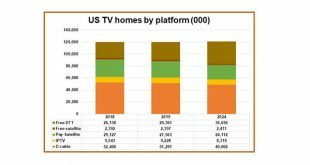 New research from Parks Associates has found that 13 percent of U.S. broadband households are cord-cutters, while 4 percent are cord-never. 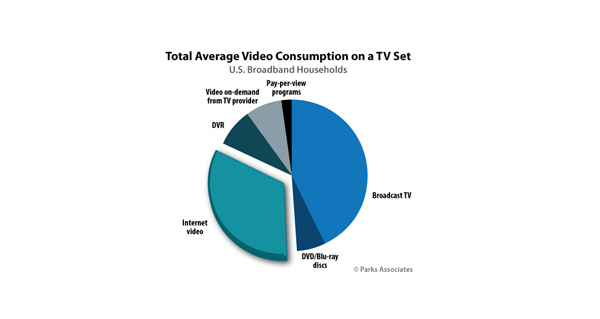 New research from Parks Associates finds that U.S. broadband households report watching an average of five hours of internet video on their TV sets per week. 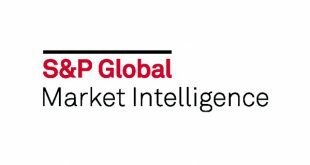 New data from S&P Global Market Intelligence's Kagan reports that cable, DTH and telco operators lost 1.2 million video customers in the U.S. in the third quarter, reaching 91 million. 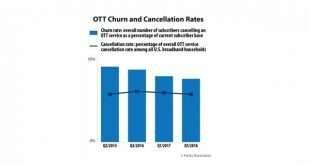 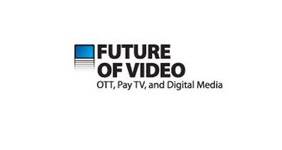 New research from Parks Associates finds the rate of cancellations for OTT video services among U.S. broadband households has held steady over the past three years at around 18 percent.